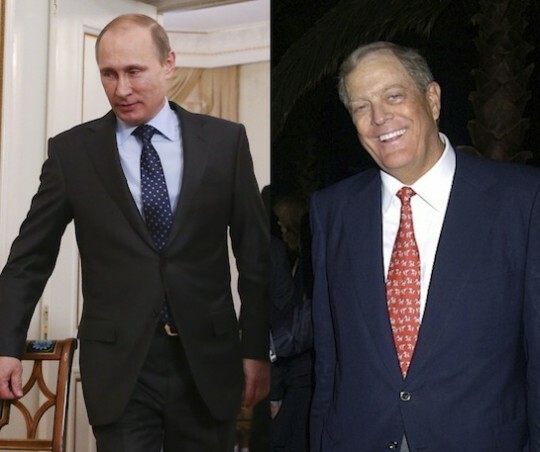 Is David Koch a greater threat to America than Vladimir Putin? This seems like a relatively straightforward question, but maybe not for people such as Senate Majority Leader Harry Reid (D., Nev.) and his left-wing allies. 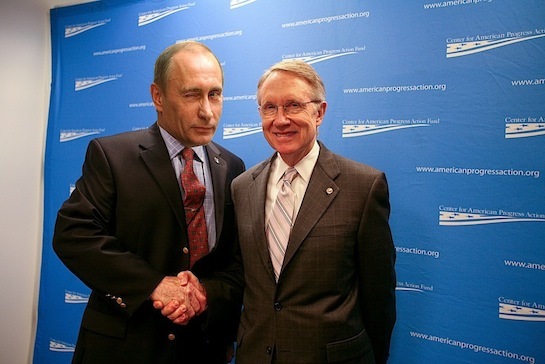 Reid has called the libertarian philanthropist Koch brothers “un-American” and “against everything that’s good for America.” He has also taken money from Koch lobbyists, so it’s hard to say where his true loyalties lie. Senate Democrats are basing their entire midterm agenda on attacking the Koch brothers, and liberals are so rabidly anti-Koch they’ve organized protests outside a hospital that is building a new ambulatory care center thanks to a $100 million gift from David Koch. 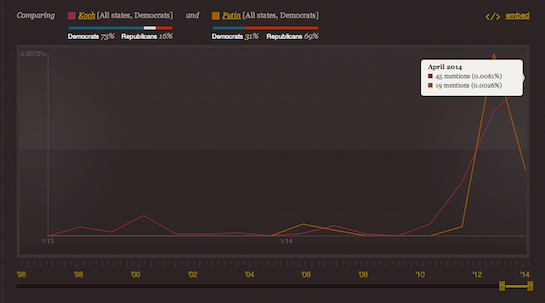 Meanwhile, some on the left are defending Vladimir Putin.